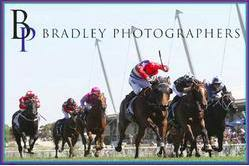 Kim Waugh Racing Stables :: Oxford Angel Heads back to Gosford on Thursday! Oxford Angel Heads back to Gosford on Thursday! Impressive last-start winner Oxford Angel returns to the scene of the crime when she competes in the 1100m $50,000 C2 handicap at Gosford on Thursday with 2kg apprentice Robbie Dolan once again in the saddle. From barrier 4 the daughter of Nicconi should be able to enjoy the run of the race in behind the speed and once again be saved for the last run at her opposition. If she can show the turn of foot she showed last start when winning then she looks a great chance here. A couple of lovely 3yo's could make their debut in the 1100m and 1200m maidens on the day but a decision on whether they will run will depend on how many more scratchings come before 7.30am on Thursday as both have drawn terribly in 15 and 16.